I haven't said anything here yet? Huh. Well I must say that I absolutely love the portal series. Its one of my favorite games and one of the two major games I played as a child, the other being Halo CE. In fact, Portal also has one of my favorite quotes in fiction. Ahem. "I've been thinking, when life gives you lemons, don't make lemonade! Make life take the lemons back! Get Mad! I don't want your ■■■■ lemons! What am I supposed to do with these? Demand to see life's manager! Make life rue the day it thought it could give Cave Johnson lemons! Do you know who I am? I'm the man whose gonna burn your house down - with the lemons! I'm gonna get my engineers to invent a combustible lemon that'll burn your house down!" is it me, or is no one is using this Topic? 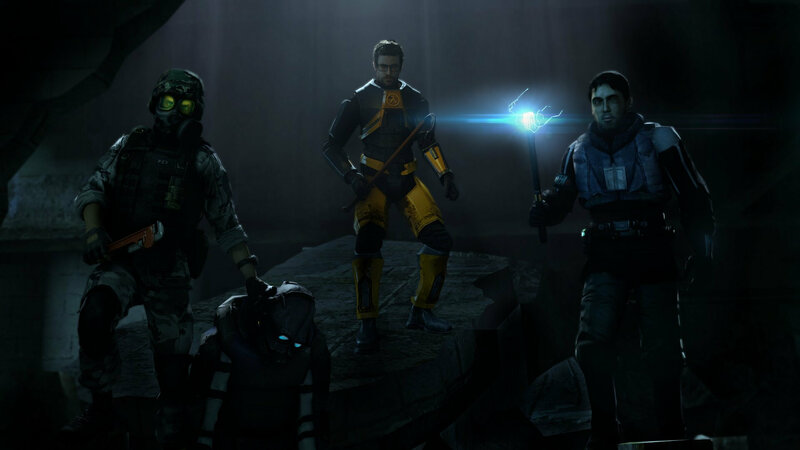 anyways, I really like the Half-life series, the first one revolutionized the FPS genre in it's Hey Day and it's one of Valve's most popular franchises. but sadly, they stop making games for the series. and seeing how it's going to be Half-Life's Birthday soon, I think it's a good time to bring back this Topic about this Amazing Franchises! Man, that Half Life 3 sure is great. do you mean this Half-Life 3? because I'm Hype for both! I do plan on checking them out.